Thousands of athletes, coaches, families, friends and fans descended on Toronto, Canada, in July for the 2015 Pan American games. The athletes, coaches and supporting personnel have their accommodations and food arranged for them. The rest have to fend for themselves…and eat at their own risk. 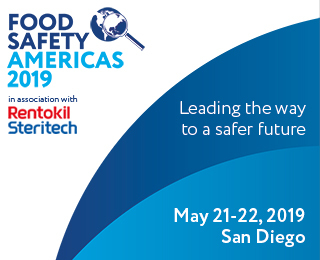 More than half the foodborne illness outbreaks in the United States are connected with restaurants or delis. In some cities the prospect of finding an eating establishment with a high food safety standard might be a daunting task. Not so in Toronto since it established a visible disclosure system, DineSafe, for inspection results for its 17,000 restaurants. Consumers look for a green sign in the window and/or check the map on the internet to find a top scoring restaurant. The main purpose of restaurant inspections is to reduce the risk of foodborne illness. Public disclosure of inspection results gives consumers a chance to use the inspection information; it also gives a lot of restaurant owners a reason to improve their food handling practices. Evaluations of disclosure systems show that mandatory disclosure of inspection results have led to improvements in inspection scores. Some report reduced instances of foodborne illnesses. Most studies show that consumers love it. – A change in inspection approach took place during the evaluation period – e.g., lower scoring operations receive more inspections? 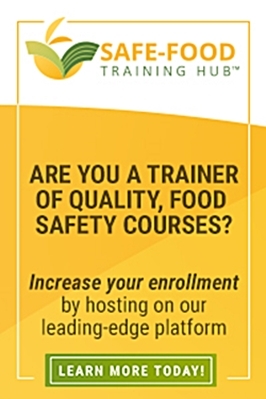 – A new requirement to have a certified food handler present at each shift was added? – Business operators were influenced by the increased communication from the public health departments when the program was put in place? Another question is: Do the “name and shame” systems improve the food safety culture in establishments? Simply making the grade doesn’t mean you’ve got a strong food safety culture. Like food safety audits, public health inspections report what’s happening at the time. Even with a passing grade, a food premises could still have corrective action requests. Is there a better way to disclose the food safety culture of an establishment? What are your thoughts on the issue? Brita Ball, PhD, CTDP, supports food businesses wanting to improve their culture of food safety and bottom line. She is a food safety specialist, principal consultant at Brita Ball & Associates, and Adjunct Professor at the University of Guelph. Brita is a regular contributor and an Industry Advisor to Global Food Safety Resource.